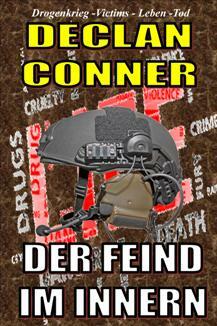 Declan Conner has released The End, or a New Dawn as an eBook and made it available in all e-Reader formats. Internal links will enable the reader to navigate the story and to make their own choice of language. His disaster thriller, The End, or a New Dawn reached the finals of a competition, Judged by Harper Collins editors and authors. 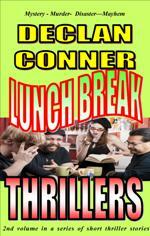 The story is included in Lunch Break Thrillers, his UK bestselling short story compilation. Inspired by some of the notions in the bestselling book, Chariot of the Gods, by Erich von Daniken, the story is proving to be controversial, in that the fictional scenario put forward, extends the argument between creationists and evolutionists. At the same time, Declan uses known scientific facts to produce a scary prediction of a future climate disaster of biblical proportion. Declan is excited about the project and plans to publish his twelve short stories in the same translated format over the next 12 months. He hopes that the eBook will prove popular, not only with readers of the genre, but also for students of German or English as a second language. 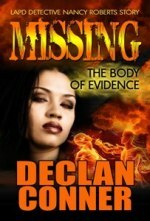 In addition to including three version of the story in German, UK and American English, Declan has provided hyperlinks to the articles that inspired the story. 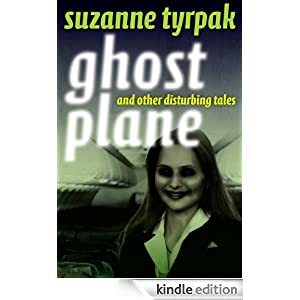 These links are intended to provide to ring of validity to his fictional scenario and to enhance the reading experience. English to German Dictionary redundant. Thriller, short story eBook. German and two English versions in one eBook.